Parkinson’s disease is known to pose a significant burden on society in industrialized countries. However, few studies have been conducted in Italy using administrative healthcare databases for epidemiological purposes. 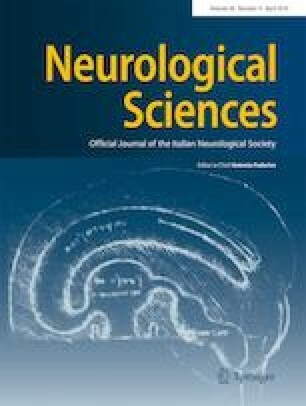 We wanted to estimate the incidence and prevalence rates of Parkinson’s disease in the Italian region of Umbria by means of linkage between several sources of administrative healthcare data: hospitalization episodes, exemptions from medical charges, drug prescriptions from general practitioners and physicians working in the public sector. Using a pre-defined algorithm, we estimated incident and prevalent cases of Parkinson’s disease for the year 2016. The regional incidence rate, adjusted with Italian standard population data, was 0.40 new cases/1000 person-years (0.41 in females, 0.39 in males). We estimated that 5550 subjects were affected by Parkinson’s disease, leading to an age-adjusted prevalence rate of 5.42/1000 inhabitants. Prevalence and incidence increased with age and male gender. However, due to the longer life expectancy of females, the absolute number of prevalent cases was greater among females. The heterogeneity of spatial distribution of disease was high. A considerable proportion of prevalent cases was hospitalized in 2016. The most recurrent reasons for hospitalization episodes were disorders related to the nervous system, respiratory system, cardiovascular system, and musculoskeletal and connective tissue apparatus. The study findings support the feasibility of future epidemiological studies of Parkinson’s disease with administrative data as well as the need for an integrative care pathway for the patients with Parkinson’s disease. This study was supported by the Italian Ministry of Health (Grant GR-2013-02357757). The Movement Disorders Center of the University of Perugia was supported by a grant from New York University School of Medicine and The Marlene and Paolo Fresco Institute for Parkinson’s and Movement Disorders, which was made possible with support from Marlene and Paolo Fresco. We are grateful to Kathy Mahan for English editing of the manuscript.